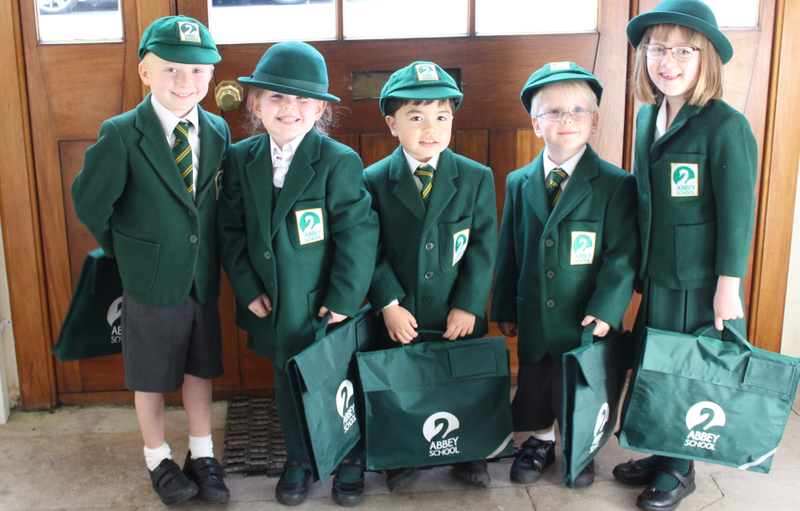 Abbey School infant pupils are very privileged. The Early Years Foundation Stage has provided a firm base on which the school years now build. Core curriculum subjects are taken forward and children are already showing signs of that ‘Abbey’ confidence and our customary enjoyment in school life. Children arrive in Year 1 from the Reception Classes already well versed in the basic skills and understanding of Numeracy, literacy and other Foundation Level core curriculum subjects. Although officially only embarking on Key Stage 1 material, many, if not most, Abbey Children have already gained a substantial proficiency in core subjects at Key Stage 1 before joining Year 1. 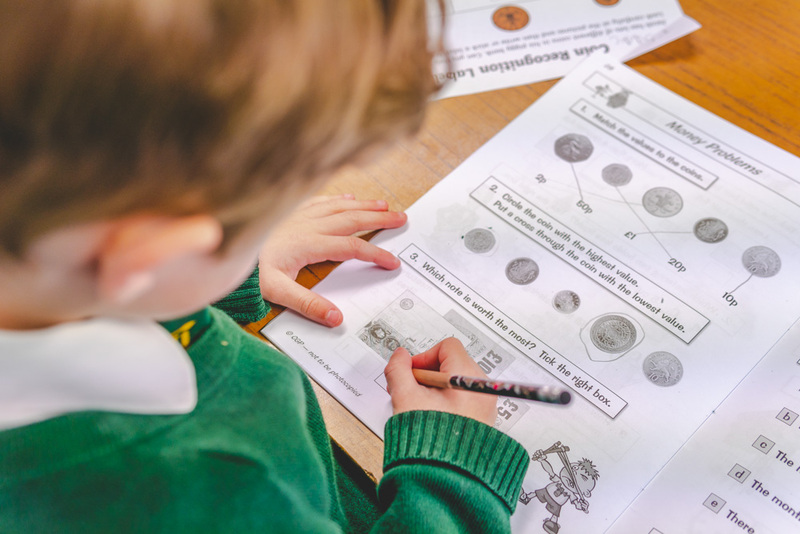 (All reception children have absorbed, and most have completed, much of Year 1 maths work, are reading well and are writing simple stories, all through the child-led activities provided in the EYFS two years). 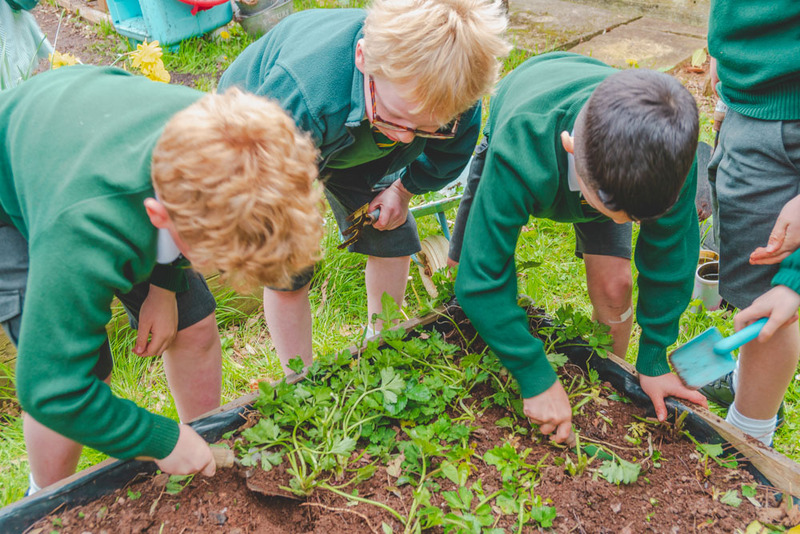 In addition to the core skills, Abbey children also enjoy field studies and visiting local areas of interest to support their work in science, geography and history. Each year these young children perform a dramatic production to their parents. Guided by dedicated teachers and with parental support, many Infant children have already started to learn skills outside the core curriculum, and enjoy such extra curricular subjects as Speech and Drama, Tennis Coaching, Ballet and musical instrument lessons. For the information and convenience of parents, yearly, termly and weekly timetables are published in the classrooms for your perusal. Should there be any area that you can offer your skills and knowledge to the group, we hope you will let us know so that we can incorporate your offering into our learning programme. (Over the years, we have had remarkable input from parents including spinning wool on a spinning wheel and making vegetable samosas). To discover for yourself the benefits your child will gain from an Abbey School education, make an appointment to visit us now, by email or by calling the School Administrator on 01803 327868. During the two years that follow, children begin to understand their basic language and Numeracy, with slightly less teacher ‘scaffolding’ to support them. Steadily Abbey children are being led towards becoming independent learners. The steps are gradual and neither the children or you, the parents, will notice that soon their achievements are more of their own efforts, and less of their teachers. In addition, children continue to gain confidence in themselves as learners and in their chosen additional fields. Throughout Year 1 and 2, children are developing their ‘learning stamina’. Each group spends approximately half the morning on number work and the remainder of the morning on language development activities. In the afternoon, the children work and play on slightly less academically demanding work, gradually increasing their powers of concentration and their enjoyment of a more rigorous educational programme. Learning to read, write and speak well, along with understanding the basics of numeracy, take up a great deal of time in Years 1 and 2. During these years, teachers will work closely together with you, the parents, actively fostering and valuing a close relationship to ensure that the development of your child is well rounded. Much research has been published indicating that when parents actively support the efforts of schools and teachers, children’s progress is greatly enhanced. The best efforts of the school alone will not achieve as much for your child as when school and parents work closely together. Abbey children achieve well in all areas and this is particularly noticeable when viewing our SATs results and those of our 11+ exams. In addition to keeping an ever watchful eye on academic progress, the role of the Abbey teacher also encompasses encouraging non-academic areas of development to be established and extended, with regular meetings between parents and teachers to determine appropriate goal-setting targets in different areas of development. Through setting achievable goals children are encouraged to do well and what is more, can be seen to make extraordinary progress during these Infant years. We have noted that Abbey children who are successful in hobbies and non-academic subjects, transfer their skills across the board. This comes in part, from the self-confidence that they gain from knowing that they can do something – whatever that something is – really well! That said, it is possible that enthusiastic parents may encourage children to ‘over-do’ the extra curricular activities and our experienced teachers will be able to guide you through what is appropriate for your child, for their age and stamina, and for their preferences and abilities. We’re happy to support and help your family in this way. The pages of this website can offer a mere glimpse of what we do and how well we achieve. If you’d like to know more about any aspect of our school or admissions process, then please either give us a call on 01803 327868 or complete and submit the adjacent enquiry form. One of our team will respond as soon as possible.